These are 2 common sayings, cliches really, that carry different assumptions. The first seems to assume that learning occurs automatically with experience, while the second challenges that notion. The second offers instead a warning about the dangers of not learning from experience, including the experience of history. The difference, perhaps, is in the quality of our reflection on our experiences, personally and communally. When we don’t reflect well on what has been, we tend to repeat patterns, on large and small scales alike. While I doubt these cliches existed in Paul’s time, the passage we heard a few minutes ago from his first letter to the Corinthians leans in a similar direction. “I do not want you to be unaware, brothers and sisters,” Paul writes, and goes on to draw on an example from history, a most sacred moment in history, to address something going on in the contemporary community. Paul reminds them: “… Our ancestors were all under the cloud, and all passed through the sea, and all were baptized into Moses in the cloud and in the sea…” It is a description of the exodus when the Israelites were led by a pillar of cloud, through water, to escape their slavery in Egypt. With Paul’s original readers, we remember the story of Moses parting the Red Sea with God’s power to take God’s people into the wilderness of their salvation. We also remember stories of that wilderness time and the miracle of manna, the heavenly food God provided along the way: “… all ate the same spiritual food and all drank the same spiritual drink.” Along with the manna was the good, clean water that miraculously sprang from a rock at God’s command, when Moses struck it with his staff. These stories are part of the core narrative of salvation for the Israelite and then Hebrew and then Jewish people. Paul brings to mind this most important story from history, telling it in a way that brings the ancient story into the present-tense. He writes: “For they drank from the spiritual rock that followed them, and the rock was Christ.” The spiritual food and drink of the wilderness experience transforms into the Christian practice of breaking bread and blessing wine at Holy Communion. Paul connects the historical story of the Exodus with the Corinthians’ present experience as a kind of set-up for what comes next, when the other shoe drops, so to speak. Just as his readers are starting to feel really good perhaps, about their past and comparing themselves to their ancestors, Paul continues: “Nevertheless, God was not pleased with most of them, and they were struck down in the wilderness.” Yikes! Not a conclusion we’re wanting to hear! Thankfully it is not the end. We all know that examples from our past can be good or bad. We talk about saints, for instance, as examples we should emulate, even when we know that saints are fallible humans too, just like us. In this case, however, Paul tells this important story from the history of Israel in a way that makes it a warning to the community in Corinth. God loves the people greatly in Corinth, as God loved the Hebrew people before them and God loves us now. God makes a way for their, and our, salvation. And… God was not pleased with most of those who entered the wilderness. Salvation history is not monolithic. It is a messy and multifaceted affair. Paul continues by pulling more specific examples from the exodus story to demonstrate the lessons he wants the Corinthians to hear: “now these things occurred as examples for us, so that we might not desire evil as they did. Do not become idolaters as some of them did… we must not indulge in sexual immorality as some of them did… we must not put Christ to the test… And do not complain as some of them did…” Each of these injunctions refer to specific stories from the wilderness and that we can read in the books of Exodus and Numbers. Paul is pretty clear about the lessons he discerns as he reads the wilderness stories. He sees problems of idolatry, sexual immorality, testing God and complaining in the history. I suspect he sees similar problems in the Corinthian community and that is why he highlights certain events and chooses to tell the story the way he does. 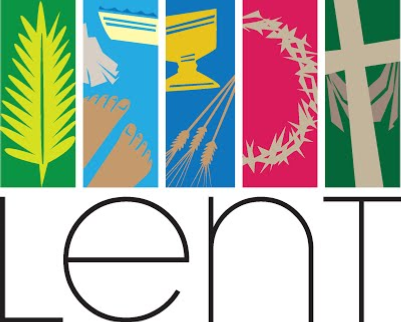 This Lenten season of self-reflection and repentance gives us a good opportunity to reflect on our own histories to mine the stories of our past, biblical and otherwise, for lessons that will help us in the present. For instance, I once sat with a group of people who remembered how, in the 1950’s, plastic was the greatest new thing that was going to make life easier, faster and more convenient. It was better than anything else that existed up until then. It would solve virtually all our problems. As the newest thing, it was considered the best, almost miraculous. It was going to change everything in and about our lives. And it did. With several decades now to reflect on it, we know that plastic has indeed changed our lives and our world. But it is a mixed bag of good and not-so-good. We have since learned that the chemicals in plastic, like BPA, might not be good for us, to the extent that they may even cause or contribute to serious disease. Decades ago, we didn’t realize that all those chemicals might leach out of the plastic bottles and into our food and drink. We didn’t think about the fact that all those chemicals might turn out to be harmful to our bodies. And we didn’t consider all the un-biodegradable garbage that would be created when our world turned plastic. We didn’t know what the consequences might be for lives that were meant to be easier, faster and more convenient. Fast forward several decades to this year, when, for the first time that I’ve noticed, a movement has begun encouraging people to give up plastic for lent. The twitter hashtag “PlasticFreeLent” launched in the UK. There is an initiative through the website “livinglent.org” that encourages lifestyle change through a variety of environmentally friendly practices, including buying nothing new, using alternative transport, local living and avoiding single-use plastics. I came across [this] little booklet of simple practices titled: “40 Days and 40 Ways to Reduce Single-Use Plastic.” We have come a long way from hailing plastic as the best and greatest new thing that will improve our lives immeasurably. Every generation has some kind of misstep. It is all too easy to look back and see mistakes that have been made and wag our fingers… those Israelites were terrible! They didn’t even appreciate that God had rescued them from their slavery and provided direction and food and drink… those Corinthians must have a lot of problems if Paul was warning them about sexual immorality, idolatry, putting God to the test and too much complaining! If only we hadn’t gotten on the plastic bandwagon back in the 50’s, we wouldn’t have so many problems as we do today! It’s oh so easy to look back and blame, but the point of such stories is not to blame or chastise. The point is to realize how much we are alike, even to those Israelites way back when, and to learn the lessons they offer us from the perspective we have today. Paul says it this way: “So if you think you are standing, watch out that you do not fall. No testing has overtaken you that is not common to everyone.” Paul isn’t blaming. He is cautioning. And more, he recognizes that hard times and making mistakes is a universal experience, common to everyone. The point is that Paul calls us, with the Corinthians, to look at ourselves and wonder what it is that we’re doing today that people 50 years from now are going to shake their heads at. One of the ways we can do so is by thinking carefully about the values guiding our decisions. If, for instance, the newest thing that offered comfort and ease in the last century didn’t turn out as well as we had first thought, maybe valuing the newest thing offering comfort and ease now isn’t the way to go. We can’t change the past or do it better. We can, however, reflect on what has gone before – our stories and our values, things that turned out well and things that caused more problems. We can learn the lessons of history to help inform our present and to guide our choices into the future. Paul ends his words of caution today with a note of grace: “God is faithful,” he reminds us, “and he will not let you be tested beyond your strength, but with the testing he will also provide the way out so that you may be able to endure it.” Paul assures us, along with his first readers in Corinth, that his caution is not meant to scare and certainly not to condemn. It is, rather, intended to teach and to encourage. God is not setting us up to fail, but provides a way out of difficulty and challenge. God gives us endurance and strength for the long haul of faithful living, and has provided us with lessons of history to light our way.